Areas Supplied: Pool tanks, Pool surround floor, Pool surround walls, Wet & Dry Change Walls & Floors, Reception & Hallway Walls & Floors. 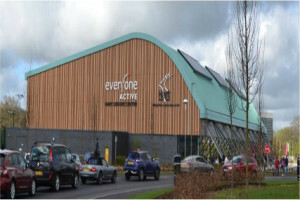 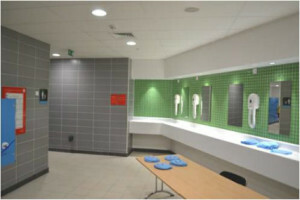 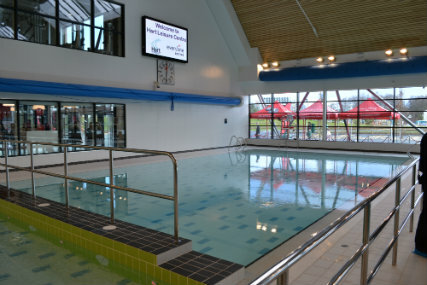 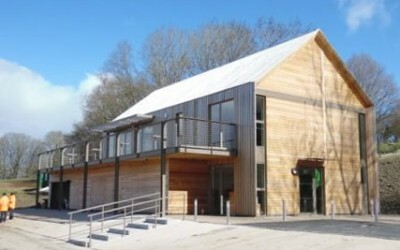 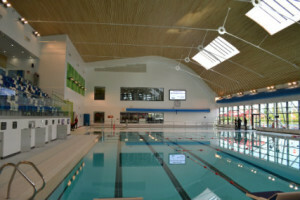 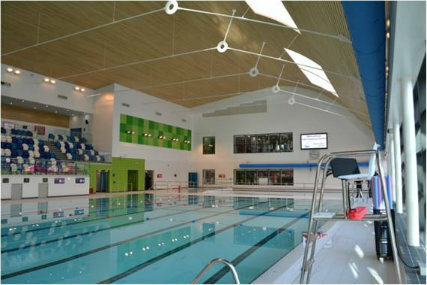 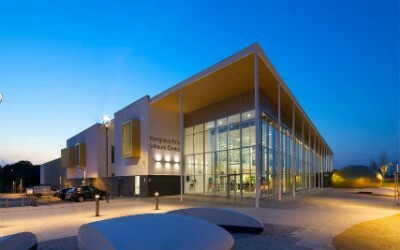 The newly opened Hart Leisure Centre has replaced Edenbrook’s former centre with a much larger and modernized facility. 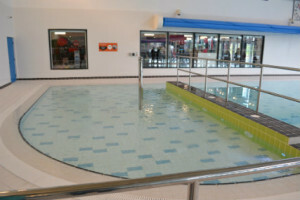 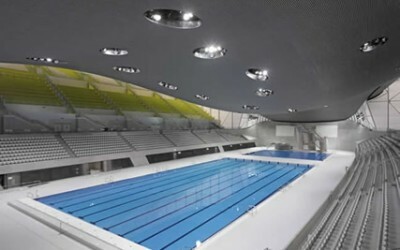 The £23m new build includes a 25m 8-Lane Swimming pool, a 25m 4-Lane Training Pool with moveable floor, Changing Village, Gym, Exercise Studios, Sauna and Steam Room, Sports Hall, Climbing Walls, Artificial Football Pitches, Reception Area, Café and a Crèche. 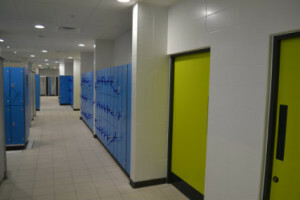 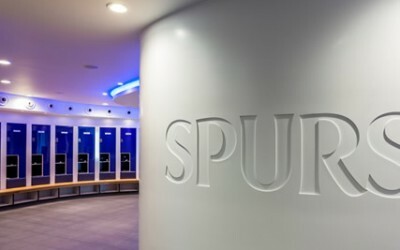 Spectile Ltd helped to write the M40 specification and used their in-house technical expertise to advise on the suitable architectural tiling package for Wet and Dry areas within the building.